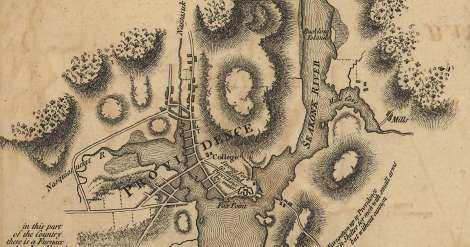 In 1788, Providence, R.I.’s Federal Hill officially got its name. In June of 1788, New Hampshire became the ninth state to ratify the U.S. Constitution - effectively putting in place a framework for a government in the newly liberated country. Virginia followed, days later. The Constitution, as created by the representatives from the 13 colonies, stipulated that nine colonies must approve it before it would be considered enacted. As news spread that 10 colonies had signed off on the document, federalists everywhere celebrated the news. In Rhode Island, July 4th seemed the perfect time to mark the new Constitution. Rhode Island, however, along with North Carolina, were dissenters from the approval. Rhode Island would not ratify the Constitution until 1790, when the adoption of the document was virtually a foregone conclusion. Within the state, Anti-Federalists held power through the dominant Country Party. Anti-Federalists opposed the Constitution for a variety of reasons tied to loss of independence to a strong central government. As plans for the July 4th 1788 celebration took shape, Rhode Island revolutionary war general William West was having none of it. West, a prosperous Scituate farmer, business man and judge in the state’s Supreme Court, gathered an army of 1,000 farmers and stormed Providence. Federalists were planning an ox roast celebration at the base of the hill called Nocabulabet, an Indian word, when West and is army approached. West's revolt seemed to push the new country to the brink of a Civil War. Compromise was reached to prevent fighting from breaking out when the Federalists agreed that the celebration would only mark the Fourth of July; they would not read aloud the Constitution as planned. But the incident resulted in Federal Hill receiving its name. For more than two years the Country Party would hold the Federalists at bay. Among their allies were many of Rhode Island's Quakers who opposed the federal Constitution's allowance of slavery. But as the rest of the country pushed on, Rhode Island was inexorably dragged toward ratification. Businesses could not seek payment for war losses and other privileges were denied to states that did not ratify. And as a final carrot, the federal government agreed to assume state debts if they ratified. In May of 1790, Rhode Island's constitutional convention convened. Leaders in Providence threatened to secede from Rhode Island if the convention failed to ratify the Constitution. The Federalists won and the Constitution was approved. For West and other Anti-Federalists, opposition to the new Constitution would prove costly. The new government devalued state-issued continental currency. The bills could be exchanged for new government treasury bonds at an exchange rate of one percent of face value. West attempted to pay off mortgages on his Scituate farm in continental dollars, but his effort was rejected. The first decision ever made by the U.S. Supreme Court denied his attempts at using continental currency and doomed West to bankruptcy and a stay in debtor's prison. He would die in 1816.